Here for sale i have this CELLO 19” Wide Screen LCD TV With DVD & DVB - Good Used Condition. Remote has been misplaced. It may have scratches/marks/stains/signs of use as expected but still have plenty of life left in it. 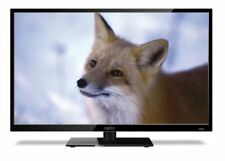 Cello C50SFS4K 127 cm (50") 2160p LED-LCD TV - 16:9 - 4K UHDTV - 3840 x 2160 - LED Backlight. Video Signal Standard: 4K UHDTV. Scan Format: 2160p. Maximum Resolution: 3840 x 2160. Manufacturer: Cello Electronics. Video Signal Standard: 4K UHDTV. Scan Format: 2160p. On this 65" 4K Ultra HD Smart TV there are six built-in speakers that provide outstanding sound quality. The result is exceptional clarity and deep detail not previously available. Cello C58SFS4K 147.3 cm (58") 2160p LED-LCD TV - 16:9 - 4K UHDTV - 3840 x 2160 - LED Backlight - 3 x HDMI. Video Signal Standard: 4K UHDTV. Manufacturer Part Number: C58SFS4K. Product Model: C58SFS4K. Manufacturer Part Number: C32SFS. Product Model: C32SFS. 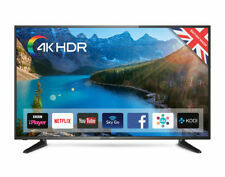 This 32" Smart TV combines terrestrial channels with online streaming content via a superfast user interface unlike any other Smart TV on the market. Loaded with Freeview HD digital tuner, the Cello C47T71DVB-3D will let you get on with your favourite programs right away as soon as you take it out of the box. Audio output is more or less at par with the visuals with 2 x 8watts stereo speakers. CELLO 39" LED LCD TV. Manufacturer Part Number: C24SFS. Product Model: C24SFS. Maximum Resolution: 1366 x 768. This 24" Smart TV combines terrestrial channels with online streaming content via a superfast user interface unlike any other Smart TV on the market.